From Basics of Molecular Gastronomy to Modern Plating Techniques & Reinventing the Popular Local Cuisine. Bangalore, January 12th, 2017: Chef Kunal Kapur often enjoys experimenting with new concepts when it comes to food. From judging Masterchef India to hosting unique travel shows, the latest from the Masterchef is a curated culinary workshop titled “Kunal Kapur’s Food camp” that is being hosted in association with IIHM (International Institute of Hotel Management)– India’s reputed hotel management group. Chef Kunal’s Food Camp brings with it lot of excitement, fun, learnings and experiences for culinary students. Starting 12th of January, 2017, the first food camp will be held at IIHM Pune. Kunal’s mission for the Food Camp is to educate and impart learnings to the students on various aspects of cooking. Through this Food Camp Chef Kunal Kapur will train budding chefs on basics of molecular gastronomy like Spherification, Foams, Emulsions, Gels, Caviar and more. At the same time he will demonstrate lessons on different techniques of plating food that is in sync with the modern times, making each plate a piece of art. Reinventing local desi food is high on agenda with this workshop, as he gives international twist to local food. Kunal’s love and passion for food is infectious. He loves to share the joy of cooking and this time around it’s with the students who are on their way to carve a niche in the industry as budding chefs. Talking about the upcoming city tour, Kunal said, “It is always a great feeling to get back to college and I look forward to the energy & enthusiasm of the students of IIHM. My endeavor with this food camp is to share my food knowledge that I have gathered over the years along with my extensive travel with the culinary students. Students at IIHM are really excited about the visit of the young and dynamic Chef Kunal Kapur. Kunal echoes the same feeling and adds, “I am super excited about the upcoming road show with prestigious body like IIHM and truly believe that together we will celebrate the love for cooking and set up new trends and standards”. Speaking about the association, Dr Subourno Bose, Chairman & Chief Mentor IIHM & Indismart Group said, "I think the initiative by Chef Kunal Kapur to do this Food Camp in association with IIHM is a path breaking one and will pave way for many such fascinating Food Events like this in future. We are changing the rules of the hospitality education with help of industry champ like Chef Kunal Kapur”. 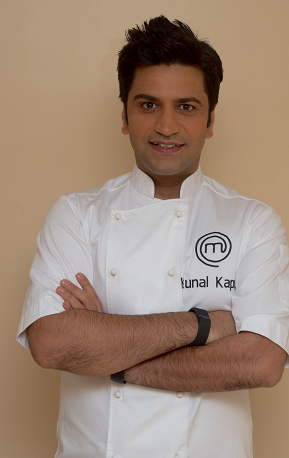 Kunal Kapur’s food camp will travel to five key IIHM centres- Kolkata, Delhi, Bangalore, Pune and Hyderabad. In the phase two, this exciting road trip might just add cities like Ahmedabad, Jaipur, Goa and Guwahati.